One of the more bizarre forms of controversy to develop relative to ACIM in recent years (circa 2006) has to do with the suspicion that the Course is the result of a CIA plot — a mind-control conspiracy. As is often the case in conspiracy thinking, some people have taken certain facts, combined them and come up with preposterous conclusions. In this case certain conspiracy theorists have added the facts that William Thetford was once employed by the CIA, that the CIA has funded psychological research and that some of that research was conducted by Thetford and Schucman, to concluded that the Course, which by its very nature is deeply threatening to the ego, must have been the result of a CIA plot. Contributing to this assertion is the fact that indeed some of the psychological research funded by the CIA was directed at discovering techniques for manipulating human beings, and that some of that “mind control” research was conducted in an unethical manner. The Web site in question contained wildly outlandish statements and suggestions intended to establish guilt by association — a strategy that a trial lawyer or tabloid journalist might use, but not a very credible approach to serious, intelligent, scholarly consideration. None of us who are familiar with the facts about Helen Schucman and Bill Thetford, particularly those who knew them personally, could possibly take seriously the claims made on that Web site. However, I could see how people not familiar with the historical facts about the Course and its scribing could take such claims seriously, especially if they are orthodox in religious belief, already skeptical about the phenomenon of channeling, and even more so if they are not familiar with words actually found on the pages of A Course in Miracles. Anyone who cares to have an informed perspective on the Course should at least become acquainted with the Course itself, along with relevant portions of the following books: 1) Absence from Felicity: The Story of Helen Schucman and Her Scribing of A Course in Miracles by Kenneth Wapnick; 2) Understanding A Course in Miracles: The History, Message and Legacy of a Spiritual Path for Today and the earlier version of this work entitled: The Complete Story of the Course by D. Patrick Miller, and; 3) Journey Without Distance: the Story behind A Course in Miracles by Robert Skutch. Wapnick’s book is by far the most authoritative account and some important, relevant excerpts from it are available on the World Wide Web. Those excerpts are linked from a site dedicated to Helen Schucman and entitled The Scribe. Another helpful site is that of the Foundation for Inner Peace, publisher of the Course. On that site, in particular see: The Scribing of A Course in Miracles. In addressing the conspiracy theory about ACIM as a brain washing tool and perhaps the product of brain washing, one ought to take note of a statement written by Helen Schucman herself and which concludes the first part of the Preface to the Course, which is entitled “How It Came.” That statement says: “The names of the collaborators in the recording of the Course do not appear on the cover because the Course can and should stand on its own. It is not intended to become the basis for another cult. Its only purpose is to provide a way in which some people will be able to find their own Internal Teacher” (ACIM Text Preface, p. viii; italics mine; see the entire three-part Preface here: http://www.facim.org/acim/description.htm). The Course can stand on its own. You don’t have to believe it was channeled from Jesus to make use of it, and you don’t even have to believe in Jesus. Neither do you have to believe in the phenomenon of channeling. In this world, there is an astonishing tendency to join contradictory words into one term without perceiving the contradiction at all. The attempt to formalize religion is so obviously an ego attempt to reconcile the irreconcilable that it hardly requires elaboration here (ACIM Psychotherapy Pamphlet-2.II.2:2-3). In other words, spirit is formless while the ego’s attempt to formalize spirituality is an attempt to imprison in form what is formless; to elevate the importance of form, which is an illusory projection of the ego thought system, at the expense of an awareness of content — mind and thought — which is reality because mind is a dimension of spirit. The Course does not encourage proselytizing or even setting up study groups. What it means by “teaching,” is not formal didactic teaching (or preaching), but teaching love and forgiveness by example; something I think the CIA would have little use for, especially back in the 1960s. That said, it is true that for most of us the Course material is not easy to understand, integrate and apply in spite of the fact that it continually says it is a “simple course.” So a teacher and a study group can be helpful. In this regard, the only teacher of the Course in whom I have complete confidence is Kenneth Wapnick, who was intimately associated with Bill and Helen, having first met them in 1972 and then working closely with them to prepare the Course for publication in 1976. When one reads his autobiographical accounts (see links at: the Website dedicated to Ken), it is evident that Ken’s own spiritual journey had led him to a place of knowing the message of the Course before he ever read it. He, too, had experienced an inner presence that he recognized in the voice that speaks from the pages of the Course itself. In effect, Ken became Helen’s designated teacher of ACIM, while she and Bill preferred to stay in the background after the Course was published. And Ken, who knew Bill and Helen very, very well, just laughed when I told him about the CIA conspiracy theory regarding the Course. He thought Bill would be quite amused and no doubt have some clever remark to make, since Bill had a very good sense of humor. Helen, on the other hand, would probably not have been amused at all. She was very intelligent and could be scathing in criticism when she was so inclined. One can obtain a very helpful understanding of Helen, Bill and their relationship by reading Ken’s book Absence from Felicity, which I’ve already mentioned. Nevertheless, even a glass of water can be misused, let alone a spiritual document. So, in spite of its intent, it is true that the Course has been misrepresented and misappropriated, sometimes with very unfortunate consequences. The Course, like the glass of water, can serve a constructive, helpful purpose or a harmful one, depending upon who is making use of it and the purpose they wish to serve. Obviously the same is true of the Bible, the Koran, and countless other spiritual writings. Likewise, psychology can be misused, which brings me to the CIA and MKULTRA. According to John Marks in his book The Search for the Manchurian Candidate2, back in the Cold War era of the 1950s and 60s the CIA had an interest in being able to make use of the scientific knowledge and professional techniques of psychology. They sought to have rapport with a wide range of psychologists to whom they could have access for information, consultation and research. Consequently, a large number of research projects of various kinds were funded by the CIA through MKULTRA, and a very long list of some of the most distinguished names in psychology benefited from this funding, most of them not having a clue about the nefarious activities of people like Drs. Gottlieb and Cameron which were discovered later. It was not until the Church Committee3 investigations of Congress beginning in 1975 that the unconscionable activities sponsored by MKULTRA funding came to light. But, the mere fact that a particular psychologist’s research was funded by the CIA through MKULTRA should not be used to incriminate that psychologist. Neither should the fact that a psychologist was employed by the CIA be used to vilify that person. Back in the fifties, there was a lot of concern about Russia and communism, and there was a high level of public confidence in the CIA. What we’ve learned since then should not serve to discredit every one of the distinguished psychologists who received funding through MKULTRA, or who was employed by the CIA. The practice of guilt by association, which the Web site in question attempts, is reminiscent of another phenomenon of the late 1940’s – early 1950’s: McCarthyism. Among the psychologists whose research was funded by the CIA through MKULTRA was the widely known and beloved Dr. Carl Rogers, who was instrumental in the development of what became known as “humanistic psychology,” and who founded the “Person-Centered Approach” to psychotherapy. His goal was not to manipulate, brain wash and deceive people, but to free them from their conflicts so that they could become “fully functioning” persons — “self-actualizing” human beings. One of Roger’s most famous books was entitled On Becoming a Person4 wherein the second major section was titled “How Can I Help?” Yet Rogers received funding for some of his research through the CIA’s MKULTRA program, just as did Bill Thetford and Helen Schucman. Although he says he would have nothing to do with secret Agency activities today, he asks for understanding in light of the climate of the 1950s. “We really did regard Russia as the enemy,” declares Rogers, “and we were trying to do various things to make sure the Russians did not get the upper hand.” Rogers received an important professional reward for joining the Society [for the Investigation of Human Ecology, later called the Human Ecology Fund] board. Executive Director James Monroe had let him know that, once he agreed to serve, he could expect to receive a Society grant. “That appealed to me because I was having trouble getting funded,” says Rogers. “Having gotten that grant [about $30,000 over three years], it made it possible to get other grants from Rockefeller and NIMH.” Rogers still feels grateful to the Society for helping him establish a funding “track record,” but he emphasizes that the Agency [CIA] never had any effect on his research (brackets mine). It is common for psychologists to seek government funding for their research projects, and in the “publish or perish” climate of prestigious universities like Columbia it is not surprising that some of the work done by Bill Thetford and Helen Schucman received funding through MKULTRA. But it is hardly accurate to characterize that research as being directed toward “brain washing,” any more than it would be accurate to characterize Roger’s work that way. My principle point here is that it is important to understand the historical context for the MKULTRA funding as well as to realize that not all of the psychological research funded by the CIA was of the dishonest and inhumane sort carried out by Dr. John Gottlieb and others. For an extensive discussion of this and of the Society for the Investigation of Human Ecology see “CIA’s Behavior Caper” by Dr. Patricia Greenfiled, professor of psychology at UCLA. Psychologist Dr. John Gittinger conceived the fundamental idea behind the “Personality Assessment System”, or PAS, many years ago when he observed that our personalities are shaped, to a large extent, by the way we use the several components of our intellect. He realized that each person learns to cope with life by using (or not using) the intellectual strengths and overcoming (or not overcoming) the intellectual weaknesses that she or he may have learned or acquired by genetic endowment. He saw that, over the period of our maturation into adulthood, this process produces what we call each person’s “personality.” The result, in other words, for each of us, is a coherent pattern for how to “do” life…. Even John Marks, in his anti-CIA book, In Search of the Manchurian Candidate, recognized and reported that the most positive development during the 1950’s and 1960’s in the CIA was the Personality Assessment System…. It is quite understandable to me that Bill Thetford and Helen Schucman would have an interest in the PAS and in conducting research with it. Certainly any psychological test (like the glass of water I mentioned) could be used for unethical purposes of manipulation and control. However, Bill and Helen, like Carl Rogers, were psychologists interested in helping people. Helen’s particular interest was in children, and particularly mentally retarded children. By investing up to $400,000 a year into the early, innovative work of men like Carl Rogers, Charles Osgood, and Martin Orne, the CIA’s Human Ecology Fund helped liberate the behavioral sciences from the world of rats and cheese. With a push from the Agency as well as other forces, the field opened up. The atmosphere in our department at the time was an extremely exciting one. There was a sense of utmost urgency and high sense of national priority to the work being done…It was the belief of the scientific community that the Nazis had already progressed very far in the development of atomic energy, and that we were in a life or death race with them. Remember, this was before the end of World War II and the social/political climate in the U.S. was profoundly affected by that war as well as the “Cold War” which followed. A few weeks later Dr. Carl Rogers arrived on campus. Although I knew nothing about Rogers, who even then was one of the most eminent names in the field of psychology, I signed up for his first course on Client centered Psychotherapy, simply because some of the graduate students I knew recommended that I do so. Rogers immediately recognized a very intelligent student with keen insight into what Rogers was teaching and to Bill’s dismay Rogers appointed him as a teaching assistant and then invited him to become Rogers’ research assistant. I was intrigued with the possibility of measuring the autonomic nervous system and its functions before and after Rogerian therapy…Rogers was very impressed by this study, and I was actually stunned that I had found any significant results at all…..In March 1949, somewhat to my surprise, I received my Ph.D. However, I still had no real awareness of the field of psychology…Although I had met many eminent people during my studies…no one seemed to have any awareness of how these specialized areas of knowledge could be synthesized. One thing I felt strongly about, both during graduate studies and afterwards at Michael Reese, was that I did not in any way wish to be a university professor…I had already turned down several offers…I felt I had nothing to profess. Also, I did not feel that university life was something that I would happily adapt to. When I completed the study program at the Washington School, I was undecided about what to do next. Since I had long been attracted to New York City, I decided to go there to look for a position. The head of the Psychological Placement Service at the N.Y. State Employment Service said he had absolutely the perfect job for me…What he had in mind was the Directorship of the Psychology Department at the Institute of Living in Hartford Connecticut. After a year at Hartford I received a call from Dr. Harold G. Wolff, one of the founders of psychosomatic medicine, a leading authority on stress disorders, and at the time Chairman of the Department of Neurology at Cornell…Dr. Wolf offered me an appointment as Chief Psychologist in the Human Ecology Study Program which he was directing. My uneasiness about becoming involved in a university position had mellowed somewhat by this time and I decided to consider an academic appointment. As a result, I accepted Dr. Wolff’s offer, and before I knew it I became an instructor and a year later was promoted to assistant professor. The idea of taking an ecological approach to the psychological study of human beings intrigued Bill and fit in with his general tendency to be attracted to unconventional approaches to psychology which emphasized understanding people in the context of their family relationships as well as their socio-cultural and natural environment, the kind of interest that had led him to the Washington School of Psychiatry. John Marks characterizes Wolff as not only being brilliant, but also as arrogant and quite interested in helping the CIA find ways to both manipulate human beings as well as train them to resist such manipulation, but there is nothing in Bill’s history to suggest that he shared these kinds of interests. There is nothing in Bill’s story to indicate that he himself had any interest in brain washing, hypnosis, drug-induced states or the like. Whether he had any knowledge at all of these activities being carried on with CIA sponsorship through MKULTRA is unclear to me, but I think it is unlikely that he did. Anyway, he stayed on at the Human Ecology Study Program from 1955-57, and then, upon the urging of a friend, applied for and — even though rather unsure of himself — took a very challenging job at Columbia University where he began in 1958 as an Associate Professor of Medical Psychology and Director of the Division of Clinical Psychology at Columbia-Presbyterian Hospital. Apparently he was fascinated by his work under Wolf at Cornell, and the job at Columbia had been subject to controversy because members of the search committee could not agree upon a candidate. Thus, they were willing to consider Bill who apparently was less controversial to them. Bill told the Cornell people that he would accept the job if given an Associate Professorship, which he thought quite unlikely. But they surprised him by offering it. So, off he went. Faculty politics can be quite conflicted and difficult. In fact, it was this very kind of difficulty that later led Bill to make his famous speech to Helen in which he said that there must be a better way for them to relate to each other as well as to their colleagues. They had been involved in some bitter, acrimonious interpersonal conflicts by June of 1965 when he made that speech, and when Helen — surprisingly — immediately agreed with him and said she was willing to help. This event led to the scribing of A Course in Miracles following a series of unusual dreams and visions on Helen’s part during the summer of 1965. The story of Bill’s relationship to Helen began when he hired her as a research assistant at Columbia in 1958. Shortly after assuming his position at Columbia, he found that his new job was going to demand much more from him than he had imagined, or been led to believe. As he was getting himself oriented and setting some priorities, the Dean of the College notified him that the University had received a large grant from the National Institute of Neurological Diseases for conducting a cooperative study of neurological and sensory deficits in infants and young children. A research psychologist with special training and skill in working with children and in psychological testing was needed. Helen became that psychologist and seven years later she and Bill became involved with the scribing of the Course. From then on, their work with the Course was kept a carefully guarded secret, because it would certainly have jeopardized their professional status as well as their employment. Helen herself had a very strong authoritative and assertive personality, while Bill tended to be much more passive and inwardly unsure of himself. As I mentioned, she and Bill had much difficulty in their relationship, which was one of the factors leading up to Bill’s earnest plea for “a better way.” Anyone who knew Helen would find it ludicrous that somehow Bill could have used “mind control” techniques to influence her! Whether one views it as happenstance or predestined preparation, several major elements of Thetford’s character made him suitable to become Schucman’s helper in the recording of the Course. Perhaps most significant was his reluctance to “profess” a distinct philosophy of his own. It’s safe to assume that few academics of his status could have resisted the temptation to revise, add to, or even co-opt a major project on which they were assisting a junior colleague, regardless of the project’s nature or origin. Second, Thetford’s intellectual curiosity and flexibility would counterbalance Schucman’s judgmental tendency, and help both of them deal with a system of psycho-spiritual thought that substantially challenged their psychoanalytic training. Thetford’s brush with humanistic psychology may have also prepared him for the transpersonal dimensions of the Course material. Finally, the younger professor’s passivity is probably what made it possible for him to tolerate Helen Schucman’s contrariness, albeit not happily. It remains a sad irony that the tenuous balance of the relationship between the two Course recorders never matured into a healthy reciprocity. In 1977, the year following publication of the Course, Schucman was forced to retire from Columbia-Presbyterian at age sixty-eight…In 1978 Thetford took early retirement and moved to California. Let me just repeat that revelations about unethical and illegal activities sponsored by the CIA through MKULTRA only began to surface as a result of the Church Committee investigations in 1975. The last date I see for a joint psychological publication by Thetford and Schucman is 1972, though Bill continued his role in the MKULTRA-sponsored personality research project 130 until he retired. That project was professionally sound, utilized the PAS, and would only have been of use to the CIA in the same indirect way that the research of Carl Rogers and many other legitimate psychologists would have been. I think that the reason for keeping that project classified is that the CIA hoped to prevent Russia and other foreign countries from either knowing about or making use of psychological research sponsored by the CIA in the United States. 3Also on the Internet see this page of the History Matters Website. 6Miller, D. Patrick. The Complete Story of the Course: The History, The People, The Controversies Behind A Course in Miracles. Berkeley, CA: Fearless Books, 1997. 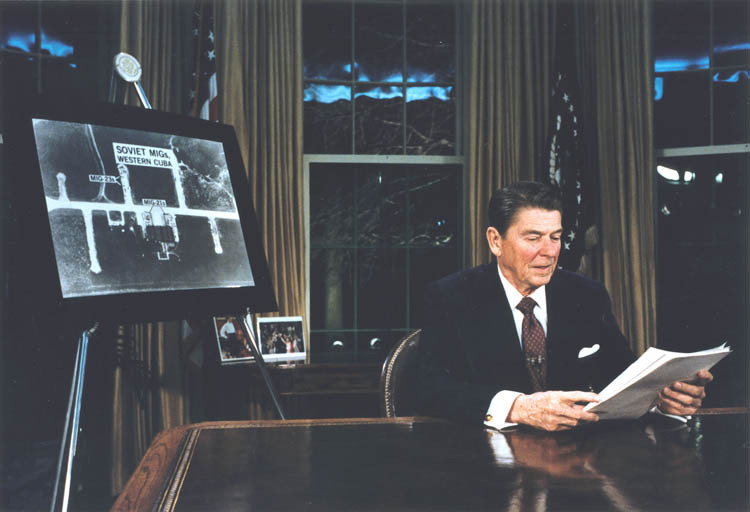 Despite tensions over a wide array of issues – U.S. arms sales to Saudi Arabia, the 1981 bombing of Iraq’s nuclear reactor, Israel’s annexation of the Golan Heights in December 1981, its invasion of Lebanon in 1982, and its abrupt rejection of the “Reagan Plan” for peace in September 1982 – security cooperation between Israel and the United States increased steadily in the Reagan years. Joint military exercises began in 1984, and in 1986 Israel became one of three foreign countries invited to participate in the U.S. Strategic Defense Initiative (aka “Star Wars”). Finally, in 1988, a new memorandum of agreement reaffirmed the “close partnership between Israel and the United States” and designated Israel a “Major Non-NATO Ally,” along with Australia, Egypt, Japan, and South Korea. States enjoying this status are eligible to purchase a wider array of U.S. weapons at lower prices, get priority delivery on war surplus materiel, and participate in joint research and development projects and U.S. counterterrorism initiatives. Commercial firms from these states also get preferential treatment when bidding for U.S. defense contracts. and which could be directed against the public in the event of mass protests or civil disturbance. The largest rocket ever launched from the West Coast blasted off Thursday with a classified defense satellite on board. The 235-foot-tall Delta IV Heavy Launch Vehicle lifted off at 1:10 p.m. from Vandenberg Air Force Base, carrying a payload for the National Reconnaissance Office. United Launch Alliance, the joint venture of the rocket builders Lockheed Martin and Boeing, said in a statement that the launching of the rocket was a success. No payload details were released for the rocket, which is capable of generating nearly two million pounds of thrust. The reconnaissance office operates satellites that provide information to the Central Intelligence Agency and Department of Defense.